As I shared the other day (and everyone in the world seems to have heard by now), Volkswagen got busted for tricking US EPA emissions testers in a despicable act of public assault. The company put software into nearly 500,000 diesel vehicles to make these vehicles burn their diesel more cleanly while undergoing tests… but not while actually in use. The public harm is immeasurable, but certainly very considerable. 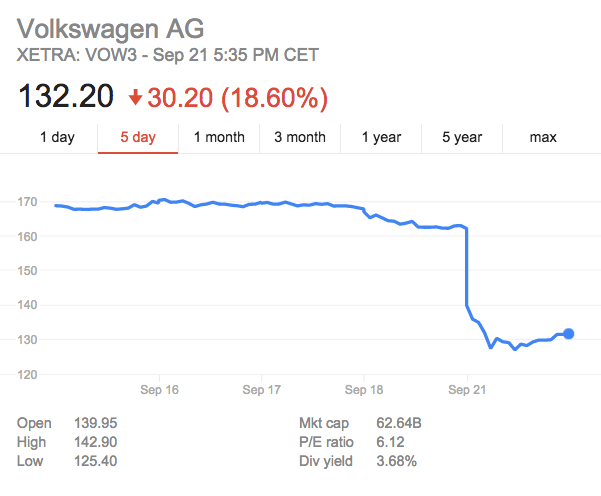 In layman’s terms: Volkswagen Group attacked the American public and lied to the US government and buyers in what can genuinely be termed an act of evil. I imagine this is just the beginning, and I’m going to go ahead and write another article right after this one based on the comment of a Gas2 and CleanTechnica reader with extensive experience in this realm of the auto world.